As many of us do, I love learning. I can’t get enough. 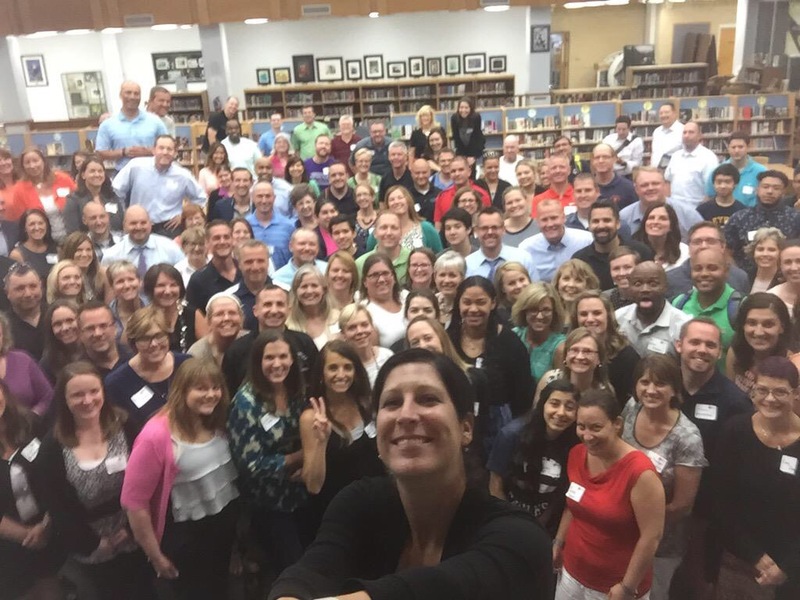 I had a brief break after ISTE2015 and up to the Midwest I went –this time, Chicago, for Edcampleader. This event is so well coordinated that it is taking place both face-to-face and asynchronously on Twitter at its hashtag to connect the campuses of San Francisco, Philly, New York, Chicago, and Chile among other places. So, what’s the take away? Like any other edcamp style unconference, you get what you want: share, present, learn. It’s up to you. As the saying goes, if you’re the smartest one in the room, you’re in the wrong room; I was in the correct building to say the least. Education’s finest leaders came from all over to share the amazing things happening in their schools. We learned together to continue to make learning more engaging for our students: an ongoing goal for many. I personally look forward to continuing the conversation (and drone flying) about making schools the appropriate place for students today and not waiting until tomorrow. Because after all, the future is here. With all these dedicated leaders it will be that much simpler. As many of us do, I love learning. I can’t get enough. I had a brief break after ISTE2015 and up to the Midwest I went –this time, Chicago, for Edcampleader. This event is so well coordinated that it is taking place both face-to-face and asynchronously on Twitter at its hashtag to connect the campuses of San Fransisco, Philly, New York, Chicago, and Chile among other places. So, what’s the take away? Like any other edcamp style unconference, you get what you want: share, present, learn. It’s up to you. As the saying goes, if you’re the smartest one in the room, you’re in the wrong room; I was in the correct building to say the least. Education’s finest leaders came from all over to share the amazing things happening in their schools. We learned together to continue make learning more engaging: an ongoing goal for many. I personally look forward to continuing the conversation (and drone flying) about making schools the appropriate place for students today and not waiting until tomorrow. Because after all, the future is here. With all these dedicated leaders it will be that much simpler.